Conquered those last 5 lbs! Let me get this party started. For those of you that don?t know me, my name is Sommer Tucker and I am the owner and co-author of this website. Like I said before, I have always been pretty athletic and fit. Still, I had always been pretty uneasy about my weight. I always thought I could stand to lose another 5 lbs. However, it wasn't until I had my son at age 25, that I faced the challenge of losing such a large amount of weight...43 lbs to be exact. I was not so happy. Especially since I worked out my entire pregnancy, ran until I was seven months pregnant and did a pretty good job watching what I stuffed in my mouth (except for the occasional craving for cheese fries). I thought for sure I was having a big baby and that it was fluid retention. Well, Grif only weighed 6.5lbs and I weighed myself within hours after giving birth (the nurses thought I was crazy) and I only lost 10 lbs...there goes that theory. Needless to say, I wasn't one of those girls that walked out of the hospital wearing her pre-pregnancy jeans. I had a pretty easy delivery so I started taking short walks with Griffin around day 10 (nothing too strenuous). At four weeks I was back in the gym and doing indoor cycling classes (a benefit of working out the entire pregnancy). In addition, I was breastfeeding. I thought for sure the weight would just start falling off. Not so much. On the bright side, it was a slow steady process and by about nine months I was back to my pre-pregnancy weight. I know, it took me a whole nine months...ugh. Still, those five pounds that nagged me in high school and college continued to drive me crazy. It wouldn't budge, even though my workouts became more strenuous (borderline obsessed as my husband would say). Okay, may be 5am workouts and somtimes another run in the evening was a little crazy. But, I knew that was a major metabolism booster. It was so frustrating. I even started teaching six to seven classes a week and training for a half marathon...nothing. Finally I decided I needed help. I confided in Lindsey, the co-author of this site and a registered and licensed dietitian. We went through everything I had been doing, especially what I was putting in my mouth. I knew the drill. Eat every 3 hours. Always include a source of protein with every snack and meal. Don't dip below 1200 calories. Stay away from simple carbs. I thought I had it all covered. Turns out I wasn't eating enough to fuel all my workouts and my half marathon training. I know, we usually cut calories when we want to cut weight, right? Deep down I know I probably wasn't eating enough, but there was something about adding more calories that made me a little nervous. Well, apparently, I was 600 calories short each and every day. My body was going into survival mode and holding on to everything I fed it. Easy fix...kinda. I had to bump up my caloric intake to 2000 calories a day! Do you know how hard that is, especially when I can't tolerate lactose or wheat gluten. Anyway, I added two 300 calorie Muscle Milk smoothies a day. Voila! Those five pounds literally fell off and then some. It was AWESOME!!! What is even more amazing, I feel like I am in the best shape of my life. I ran 8.5 miles for the first time yesterday and enjoyed every second. I give Lindsey complete credit. Without her I wouldn't have the energy to fuel the workouts that elevated me to the level of fitness that I have today. Join in and write your own page! It's easy to do. How? 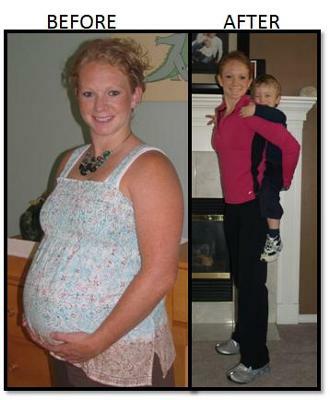 Simply click here to return to Weight Loss Success Stories.